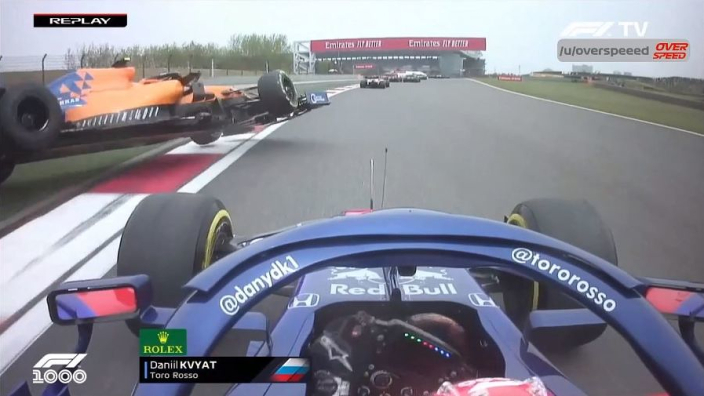 VIDEO: Kvyat torpedoes both McLarens! 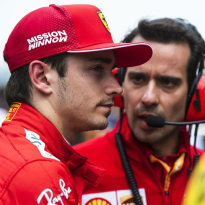 McLaren's Chinese Grand Prix was impacted massively on the opening race as both Carlos Sainz and Lando Norris were involved in an incident with the Toro Rosso of Daniil Kvyat, causing damage to both cars and forcing them to pit. GPFans is a multi-platform, multi-language brand dedicated to Formula One coverage. We bring you all the ins and outs of the sport, 24/7, everything from up-to-the-minute news and features to the latest viral stories and clips. We believe that a new generation of exciting, outspoken drivers will make F1 more popular than ever before, and we want to give our users access to as much of their heroes as possible, on and off the track. 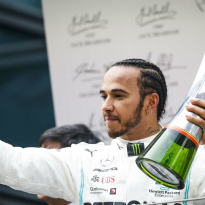 From Lewis Hamilton to Max Verstappen, Daniel Ricciardo to Sebastian Vettel, we provide in-depth analysis of every every Grand Prix in the season, from Australia to Abu Dhabi. 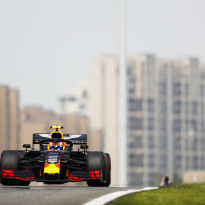 With Formula One under the new ownership of Liberty Media, how the sport is being covered is evolving, and GPFans will look to be at the heart of this progression into new media, as one of the fastest-growing sites covering the king of motorsports.